While not an exciting place to see, there are some hidden gems, and at the very least, some hotels and restaurants for your journey to and from Uluru. 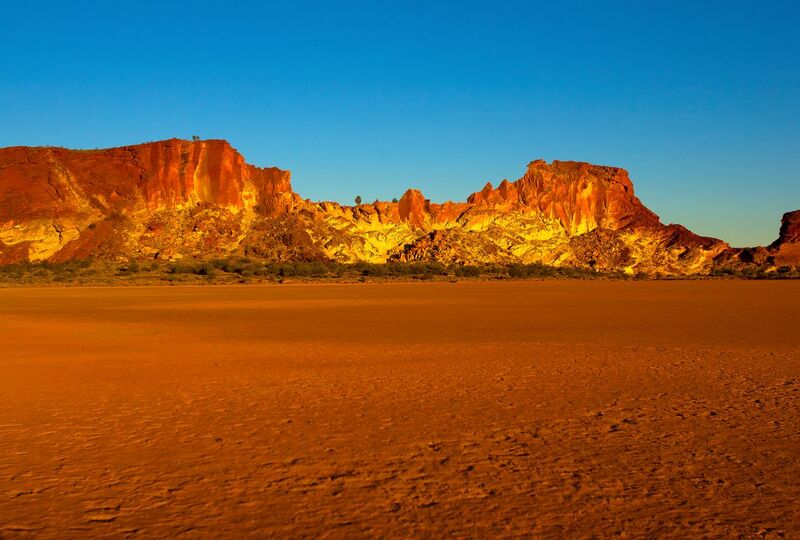 Located between the MacDonnell Ranges and the dry Todd River, Alice Springs is the arrival/departure point for exploring the vast Outback. The small city has a transient feel, as most people are only passing through. Expect hot days and cold nights. Everything you need can be found by walking down Todd Street. This place makes you busy in attending gallery and community events, Museum of Central Australia, Desert Mob art show , olive Pink, Botanic Gardens and much more to travel and explore something new always in every visit. The surrounding country is gorgeous and offers plenty of outdoor recreation. The town itself has a great vibe. Even though it's a small place, there is no shortage of galleries, shops or restaurants. If you're looking for tours of the outback or central Australia this seems like the place to find them. I loved Alice! Bought an Aboriginal dot painting! "Bush Banana Dreaming" by Pansy Napangardi! Loved the people! Interesting town, plenty of accommodation. Take care to be safe at night if going out. Alice is fine as a passing through spot but Cober Pedy is full of character. I took a great bus coach tour from syndney area through the outback --be prepared for very cold nights and dry hot days. Ignore any Aussie you meet who asks you why you want to go to Alice, especially if it's followed by a comment about the people. Alice is the gateway to Uluru. It's not got much - one alright club, a good second hand bookshop, a good hostel - but it's real. I just didn't get the attraction of Alice Springs but each to their own.